Meghan Bilz and her off-track Thoroughbred Zoe proved last Sunday that their “relentless pursuit of perfection” can pay dividends. 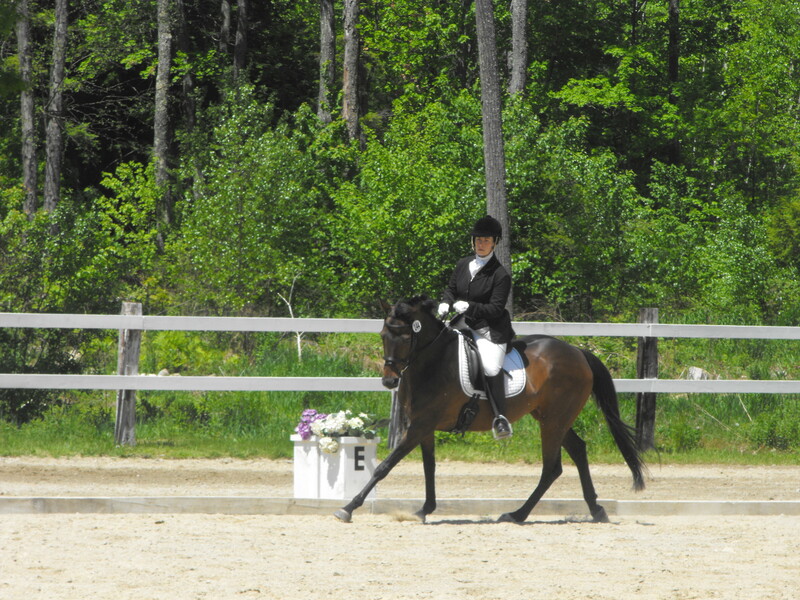 The pair won their first dressage show— the Oak Rise Dressage and 2-Phase Show on May 16. 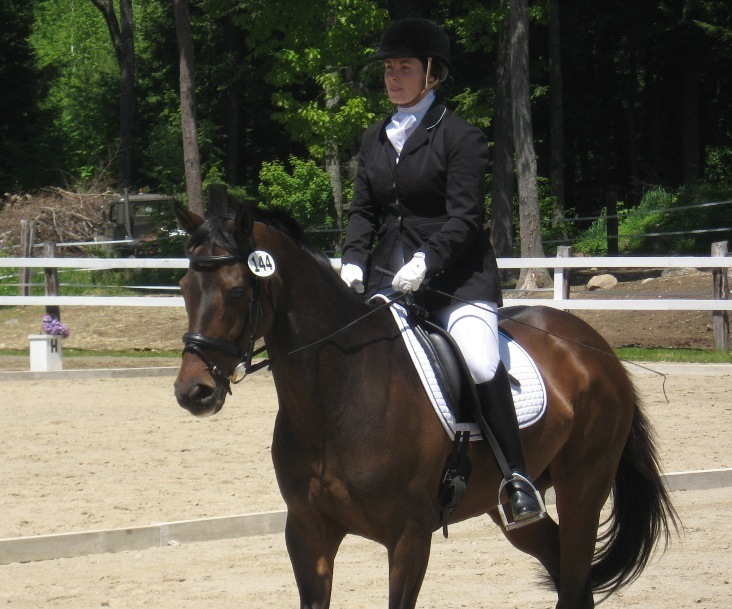 They were also named the Reserve High Point Rider of the Day, a distinction pitting them against all other riders at the show in Goffstown, N.H.
What was going through your head as you did your Training Level Test 1? Don’t forget the test and stay in the ring! Actually, Zoe was a little nervous about the judge’s booth, and there were some gusty breezes that were throwing the floral decorations out of their bases, so I was thinking about how to keep Zoe focused without being tense. I was definitely stiff in my hips, which resulted in some poor canter departures, so I was also taking mental notes of some things to work on when we got home. When did you know you had won it? I really had no idea I had won. I am very critical of myself, so while I was proud of Zoe for being so composed at her first show with me, I was mad at myself for my mistakes—I was too stiff, I didn’t have her forward enough, and we messed up some of our transitions. I had kept my expectations pretty low since it was our first outing, but we had things going so well at home that I was frustrated that I could not get it right in the ring. When we won both honors, I was thrilled, more for Zoe than for myself. I think that was her honor, and I will do my best to be a better partner next time. It ‘s a learning process, and we are just at the beginning. Congrats Meghan. I broke Zoe way back when!